Posted: Wednesday, September 28, 2016. 6:16 pm CST. By BBN Staff: Cruise News, a popular online outlet for developments in the cruise line industry, is reporting that passengers of a Carnival cruise ship were robbed at gun-point in Belize. 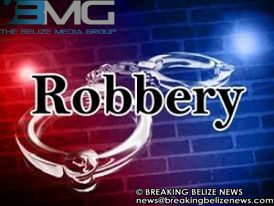 According to the report, on Tuesday, September 13 a passenger of the Carnival Magic was held-up by armed robbers while they were at the Belize sign near the Fort Street Tourism Village taking some pictures. A vendor was offering wood and jewelry to them, when a male on a bicycle, threw down his bike and pointed a gun at them, the passengers reported. Carnival Magic have contacted the passenger and stated that it is going to increase awareness with cruise guests and increase police and security at FSTV. Last March there were two incidents where a couple from a cruise ship in Belize reported that they were victims of an attempted armed robbery near the Museum of Belize and some other passengers were robbed at gunpoint while on excursion at the Altun Ha Maya Ruins. That same incident happen in belize to my brother Ralph Vernon(DECEASE I MONTH) when he was visting belize the police was not much help i guess they are scared to of there criminal too something must be done,i am a Belizean,im soo scared of visiting in fear that i would be kill my the hand of my own people.